Please call or email today to schedule a visit. Mother of 10 breastfed children including a set of twins. International Board Certified Lactation Consultant with over 35 years experience helping mothers’ breastfeed successfully. Board Certified since 1987. Trainer of lactation consultants and other health care providers. Provider of home care assessments, reporting findings to physicians. Public speaker for television and radio programs addressing breastfeeding issues. Includes State of Ohio Legislative lobbying for breastfeeding rights. Serve as an expert on legislative issues related to breastfeeding rights. Writer for news and local newspapers on legislative issues. Planner for parenting and health education seminars and events. Provided continuing education with annual seminar for lactation and other health professionals. Planned and directed activities that give both an educational benefit within the lactation community and produced successful profits. Board Certified as Lactation Consultant 1987, re-certified 1992, 1997, 2002, 2007, 2008, 2013. 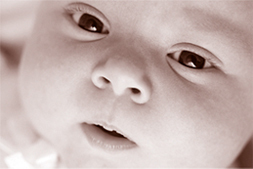 Providing in home care lactation services to new mothers and infants. Prenatal education and parenting classes specializing in multiple births and lactation education. Preparation of educational materials and learning plans. Public speaking and teaching to health professionals and other groups. Marketing, balance books, prepare and send billings, file insurance, keep records, recommend equipment, report to physicians regarding findings, do follow-ups. Helped to create a professional organization that provides education, diverse peer support, and philanthropic directives, through direct and indirect financial support. Helped spring board a competition amongst local hospitals to sign onto the UNICEF’s Baby Friendly Hospital Initiative. Giving Cincinnati 4 Baby Friendly Certified Hospitals, certified by the World Health Organization. This is the only city in the world that can make this claim. Testimony to Senate & Legislative Committees. Successfully worked and lobbied to get Ohio Senate Bill 41 passed, took effect September 15, 2005. Testimony to the Civil Rights Commission. Visit Facebook for more information on dates and locations. Editor, for 5 years for publications for Leaders in Israel and Asia. Book evaluation committee, reviewed books in print and galley form for accuracy and usage in organization, wrote reviews and worked with authors. Resource Development. Nominated for Board of Directors position by peers. Ran parenting education conferences both here in Ohio and in Indiana for 15 years, with average of 500 attendees each year. Managed a volunteer staff of 40-60 helpers. Self -Educated in Breastfeeding Education, did preparatory work as a volunteer until I accumulated a sufficient amount of experience, contact hours with mothers and infants, and number of continuing education credits to sit for the International Board Certification through the International Board of Lactation Consultant Examiners in 1987, a health certifying organization. Most recent Re-Certification was 2013. Certified as a La Leche League Leader in 1972, completed training through La Leche League program which included human relations training. Recently honored for 35 years of service. Proficient in Microsoft Office, Word, Works, Excel, Publisher, Print Shop, and troubleshooting of these programs, editing and digital photography.